Emily Anderson is a longtime baker who started baking for her teammates as a way of motivating them through harder practices. After attending Wheaton College and receiving her degree in English she decided to pursue a degree in Culinary Arts from Johnson and Wales University in Providence, Rhode Island. Upon graduating she interned and freelanced at America's Test Kitchen in Brookline, Massachusetts. 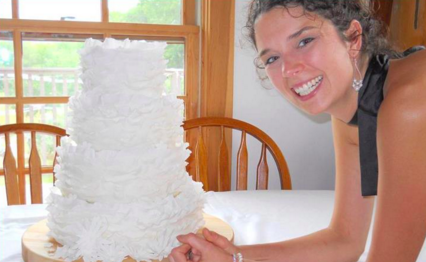 After cooking and baking at Cutty's (also in Brookline, Massachusetts) Emily spent some time managing restaurants, and has recently moved up to Camden, Maine after taking the baker position at Boyton-McKay Food Company. Cortney Sukeforth has been baking and cooking since she was a little girl alongside her mother in the kitchen. She is primarily self-taught in pastry, though she attended Southern Maine Community College for Culinary Arts. She is the baker at Peter Otts, waitresses at Long Grain, and lives with her 3 children in Camden, Maine.